Love of needle based crafts? Check. I’m pretty certain Phoebe Martin and I are practically the same person. Just swap her love of knitting for my love of cross stitching and bam! Soul sisters. This book is so delightful. There were times when Phoebe got a little whiny, but in all honesty what high school student doesn’t? As a bookish introvert Phoebe is having trouble with boys and life. Her best friend puts it into her head that the cute boy in band, Dev, is crushing on her, and suddenly she gets it in her head that she’s not crushable. At first, I was worried that this was just going to be a bad story about how girls need to change herself to get boys to notice her. But as it went on and you felt Phoebe’s self esteem issues, and it was just way too relate-able. Because that’s how we are in high school when our nose is stuffed in a book and we don’t have the perfect hair or body. It makes sense that she would throw herself into what she knows and love to try and make herself something she thought she needed to be. She’s of course accepted for her true self. If this story would’ve ended with any other message then of course I would be forced to give it negative stars instead of 5 stars. But the beginning is good, the middle is good, and the end is superb. 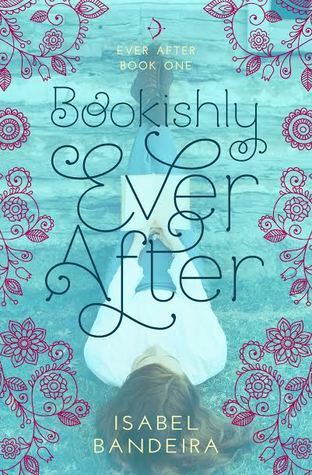 I recommend this book to any YA loving book nerd, because no matter if you prefer contemporary, fantasy, or any other genre, you’re going to be able to relate to the bookish feel. Thank you to Spencer Hill Contemporary and Netgalley for letting me read this book early for an honest review.